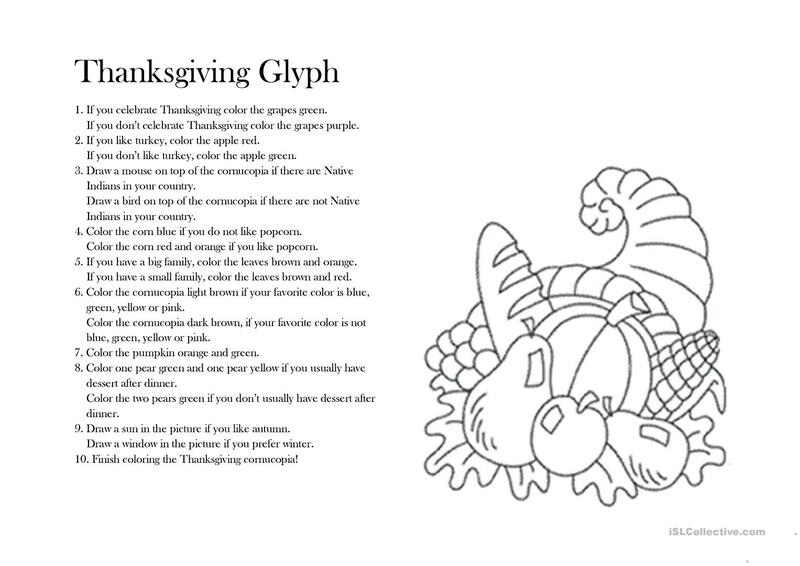 An easy Thanksgiving glyph for younger students. This activity can be used as a listening activity if the instructions are removed. Hope you enjoy it! The present downloadable worksheet was created for elementary school students and kindergartners and nursery school students at Beginner (pre-A1), Elementary (A1) and Pre-intermediate (A2) level. It was designed for strengthening your groups' Listening and Reading skills. It is about the topic and words of Thanksgiving.